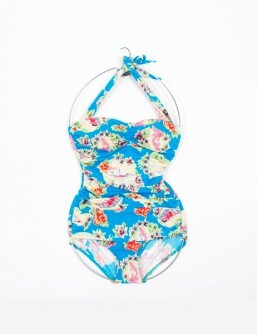 This delightful one piece lycra bathing suit features low-cut legs, a halter neck and flirty ruches across the front. Bathing suits are in American sizes. See Size Guide for sizes comparison. Free shipping to Australia and New Zealand.